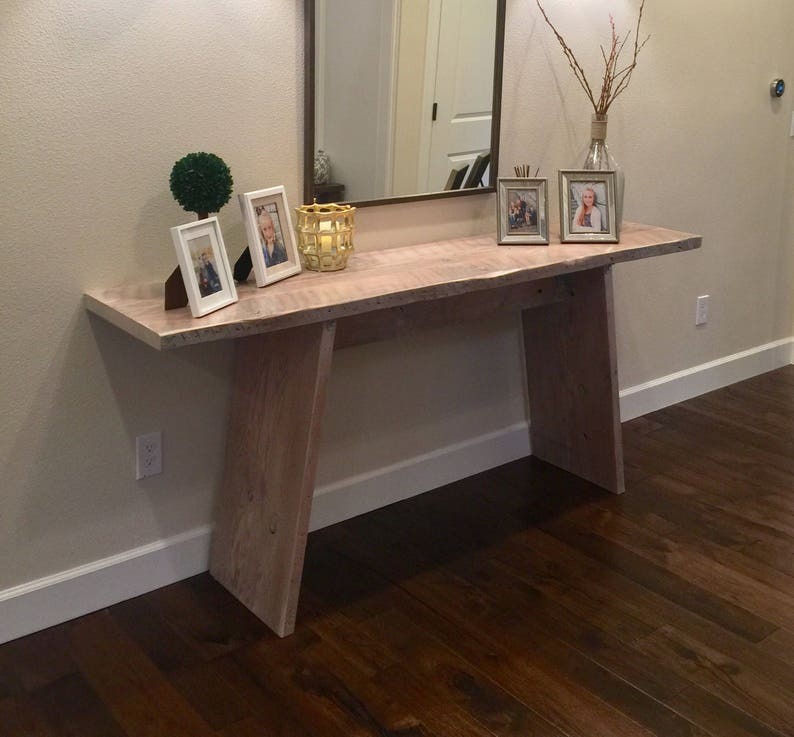 This console table is the perfect blend of rustic and elegant. The Pearl Console Table is made from reclaimed barn timbers, each one having its own special character. Each table is made to order, finished in a whitewash stain and durable satin clear coat. Custom stain and or finishes are available for an extra charge. Please contact for details. Table pictured measures 80 inches in length, 18 inches wide, and 35 inches tall.